The new HTC flagship has finally reached our shores, and boy what a magnificent sight to see it is! The Taiwanese company has come up with a beautiful aluminum smartphone that will not only wow you with breathtaking appearance but also with the powerful hardware and innovative features it has at its disposal. But let us not start talking about it right now, because that would render this very post pointless. 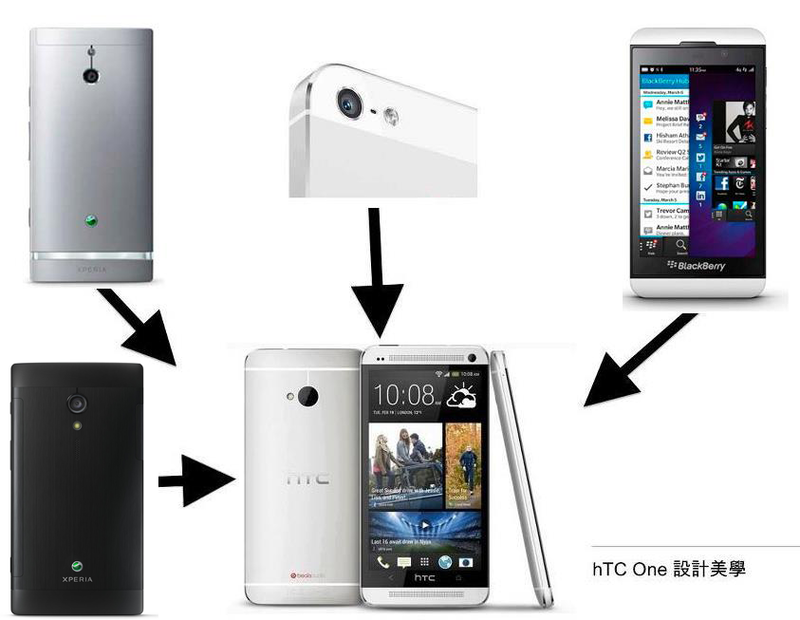 Instead, we'd like this post to serve as a gateway to all of our HTC One coverage. We warn you, though - there's a lot to read in here, so better get started if you want to get through it all today! Feb 19, 2013, 10:41 AM, by John V.
Feb 19, 2013, 9:26 AM, by Victor H.
Feb 19, 2013, 1:31 PM, by Ray S.
Feb 19, 2013, 9:42 AM, by Victor H.
The new HTC Sense interface: what's so new about it? Feb 19, 2013, 11:04 AM, by Nick T.
Feb 19, 2013, 11:20 AM, by Daniel P.
Feb 19, 2013, 1:19 PM, by Alan F.
Feb 19, 2013, 12:19 PM, by Victor H.
Feb 19, 2013, 12:13 PM, by Alan F.
Feb 19, 2013, 12:06 PM, by Nick T.
Who designs the best looking smartphones? Feb 19, 2013, 11:45 AM, by Victor H.
Feb 19, 2013, 11:13 AM, by Daniel P.
Feb 19, 2013, 11:04 AM, by Victor H.
Feb 19, 2013, 10:44 AM, by Victor H.
Feb 19, 2013, 10:35 AM, by Victor H.
Feb 19, 2013, 9:27 AM, by Nick T.
Feb 19, 2013, 7:52 AM, by Ray S.
HTC One is a really good looking phone. I just wish it was available on VZW. Moving to AT&T or Sprint is not an option for me. Been there, done that, and what-not. Good luck to HTC, though. Doug im actually a little concerned about this device coming to Verizon. You know there going to ruin it with obscene amount logos, crappy software and that stupid persistent Wi-Fi notification. I hope im wrong but i have a feeling im right. Yes i am well aware of root but that will take some time to establish, i havent used a case in a few yrs because they make the phone to bulky and they take away from the asthetics and disable is an option. The problem with the app disble is 2 fold... 1. Verizon still bakes these apps into the software which in turn slows down the update process. 2. If the ICS update for the Thunderbolt is any sort of indication then Verizon will find a way to block that option from us. For whatever reason VZW has, I suspect the HTC one is not headed to VZW. A shame, but the Magic 8 Ball agrees with the statement - The HTC One is not headed to VZW, right? Not sure what you are referring to about the Wi-Fi notification, though. I think the only way the One will come to Verizon is Verizon can figure out some way to handicap the device. I agree that if they don't get the device it would be a real shame but we'll have to see what happens. In regards to the Wi-Fi notification it was a big issue with the S3 and the Incredible 4G. Verizon even went so far as to remove the Wi-Fi toggle from the notification panel. Are you referring to the ability to tether (turn the phone into a Wi-Fi hotspot)? The GS III and Note II have that ability with JB. (Dunno) P.S. : I don't see the One on VZW. If it was going to be offered, that would have been part of the announcement. I heard that Verizon is just delaying their release so HTC did not announce Verizon as a launch partner, but for sure will launch on Verizon. Waiting for the Motorola and Samsung flagship just became painful. Spectacular comeback, HTC, well done! Taking my hearth; finaly best smartphone. Because it comes in a 64 GB version. Only the 1% of consumers need more than 64 GB, and no manufacturer is trying to appease the 1%. On board memory is reliant on nothing happening to the device. Lose the phone to malfunction, equals possibly losing imporant data stored within the on board memory. RAM is different than ROM. I want to make sure I can retain vital info on the card to move to a different device on the fly. John B. The only thing you need to know: 2300mah battery. Non-replaceable battery. Better carry around a charging cord and be near an outlet. Even HTC makes an external 6000mah battery just for this phone so you can recharge every 4 hours. @ Hun3rj2 48 hours?? You must be joking. 1080 resolution + "Blink" running all the time + giant screen = Maximum 1 day battery life. Those were the old days. The processor that its using is 40% better performance and efficient, added with minimalistic htc sense. Battery is more than enough. Cant wait. I honestly think it will receive the same lackluster sales as the One. Sammie won the Android war and why take a chance HTC might not be around much longer. Its a nice looking phone though, you cant take that away from them, but I wouldn't buy one because you might not get any updates. My contract has been up for 8 months. My charging port has been busted for 10. What has kept me going, is swapping batteries(thus one of the most attractive points in removeable batteries). Since I have been a perpetual HTC purchaser for years, I've been holding out patiently in hopes that HTC would've acknowledged my concern for including removeable batteries and expandable SD slots. I would've kindly purchased another fine product by HTC but: Many calls to them have resulted in them claiming I'm not alone in these thoughts. Yet, as we see today, they have chosen to ignore crucial aspects in mobile technology. HTC seems to think these features are a joke. I have decided to leave the HTC umbrella and move on. Tomorrow I will be purchasing a different brand. They have always made a solid device. However, excluding the key features has pushed me and judging by their consistant number drop, appearently others to flee. Who's joking now? Ignore the people that have supported you, and observe the exodus. John B.
Slammer, excellently stated. I've been exclusive HTC customer for almost 3 years spanning 3 devices. I will never buy another HTC. That's for sure. Yay great a cool camera good display. But this phone will be obsolete when key lime pie comes out and its 2014 and the people who bought this are still on jb. They come out with a " flagship" like 3 times per year and then forget about the people who purchased last months " flagship"
As a consumer advocate, I take my devices seriously. I literally just got off the phone with HTC and explained my position that I'm highly disappointed in this offering. She claims that most people want slimmer phones with longer battery life. So do I, but not at the expense of eliminating these features. From Samsung to Motorola to Palm to HTC and even the iPhone, the charging ports get used daily and are vulerable. She claims I can send back an HTC phone within the warranty and they'll replace it. My bone of contention is when it is NOT under warranty and she said people don't seem to care. To say the least, I was livid. Tomorrow I will be purchasing the Note. John B. Now is a good time for HTC to come back and compete with Galaxy S4 but without the Smart Stay feature people will go to the plasticky S4 but inside no others can match the smoothness. HTC copied iPhone without removable battery and microSD slot is a draw back for people that needed the most.